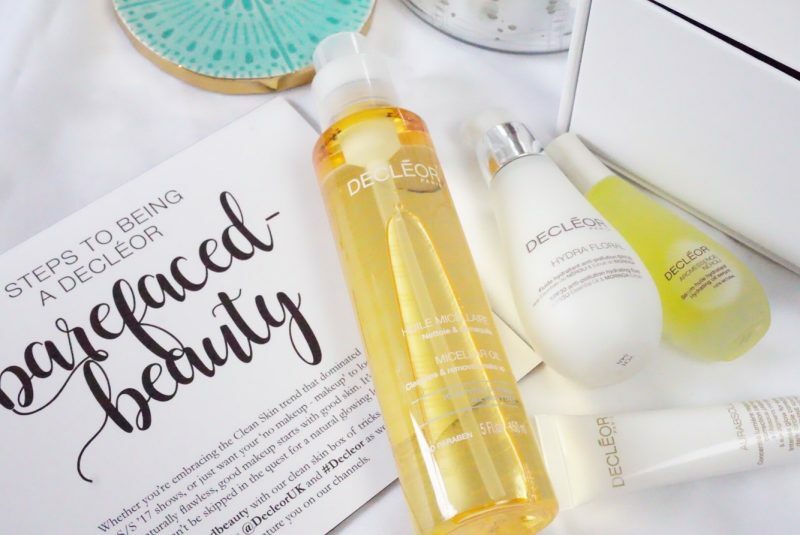 With Barefaced Beauty trending at SS17 Fashion Weeks, Decleor is here to help you achieve that fresh glowing skin that is a must for this Spring. Who wouldn’t want skin that looks like, well, skin? 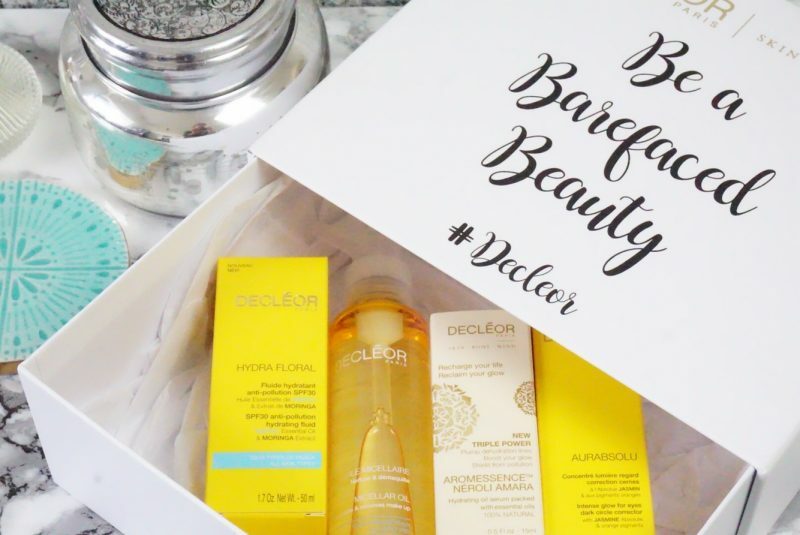 Banish the heavy makeup and let your #barefacedbeauty shine through. As a model, skincare has always been my priority, every makeup artist behind every fashion week will be quick to tell you that the best looks start with great skincare. We bombard our skin day-in and day-out with environmental damage from pollution, the sun, phone and computer screens, air conditioning and makeup to name a few AND I doubt any of us have the perfect diet (congratulations if you do, I, on the other hand can’t resist the odd glass of wine of bit of chocolate). Knowing these challenges our skin faces every day, I like to know that I am doing my best to take care of my skin. I drink a lot of water and herbal teas (Pukka Blackcurrant Beauty is my current favourite), I take probiotic supplements, have a healthy diet where possible . . . and I take care of my skin with thorough cleansing and nourishing products. 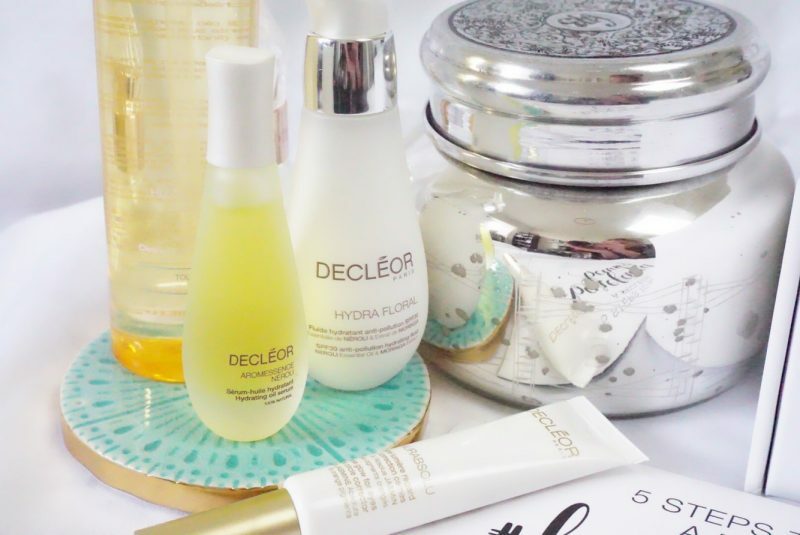 Here are some new launches from Decleor to help you achieve that catwalk ready skin this Spring! The first step to barefaced beauty is always cleanse, I personally always double cleanse. My first cleanse is always with an oil cleanser to remove makeup and my second is to cleanse my skin and pores. Don’t forget that impurities can build up overnight (yes, we sweat in our sleep and there is more than likely bacteria on your pillowcase … gross, I know) so a morning cleanse is essential. 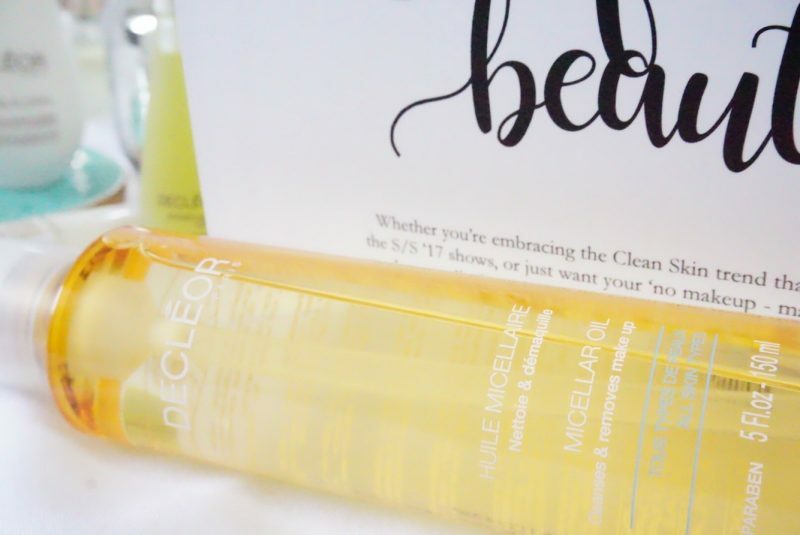 The micelle technology in Decleor Micellar Oil clings to dirt and makeup on the skin, dissolving them and leaving behind a clean, hydrated finish. Sweet Almond Oil, rich in essential fatty acids, helps to strengthen and soothe the skin, and Vegetal Squalene (derived from Olive Oil) maintains optimal hydration levels for deep moisturisation and suppleness. Think you’re not a facial oil person? I am obsessed with serums and facial oils. Even though I have oily/combination skin, these oils help to balance my sebum production. They penetrate the skin further than moisturisers, boosting my skin’s hydration and adding radiance. They are an essential step in prepping the skin backstage at any fashion show or photoshoot. Keeping the skin hydrated is key for that clear complexion! 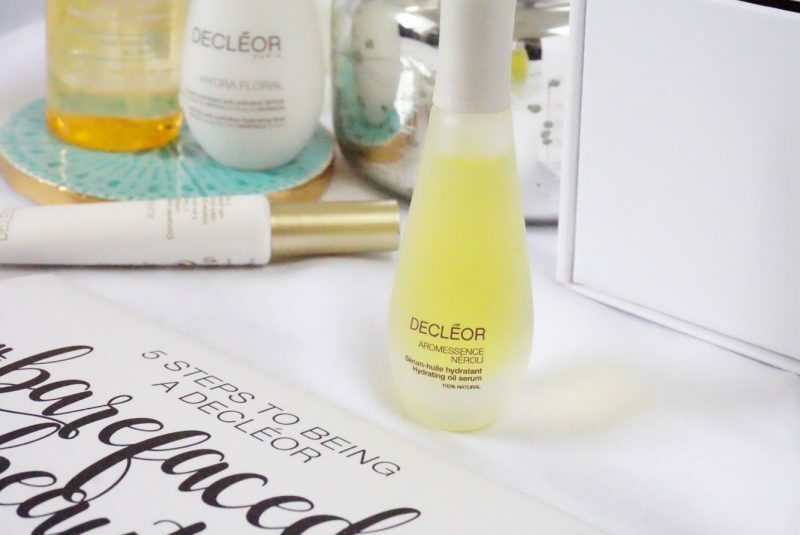 100% natural, Decleor Aromessence Neroli Amara Hydrating Oil Serum is packed with the highest grade of essential oils (Néroli, Sweet Orange, Petitgrain, Juniper Berry, Sandalwood, Clary Sage), and cold pressed botanical oil (Hazelnut Virgin Oil). Non-sticky, non-shiny, the fine silky texture absorbs instantly. If following with makeup, you’ll find it blending seamlessly, not sliding right off. What’s more, just three drops will do the trick for your entire face. If you want to master barefaced beauty – you need to revive skin’s luminosity. 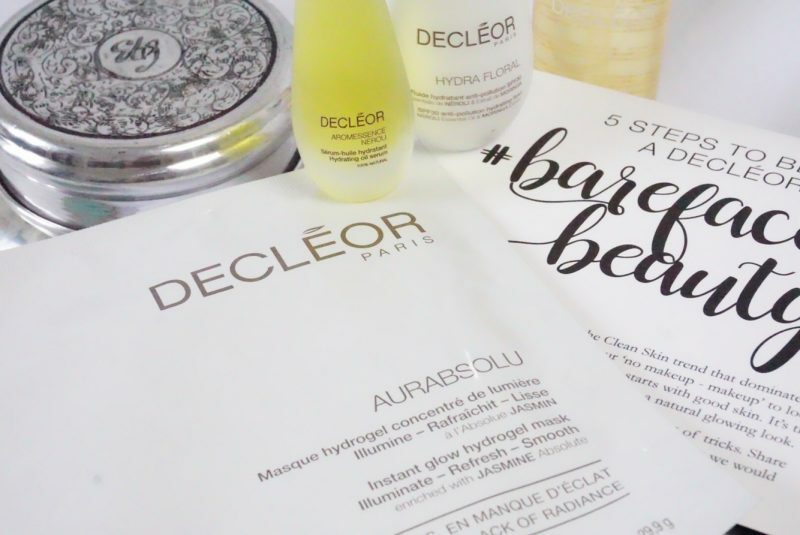 Decleor Aurabsolu sheet mask comes in two parts, so it’s fuss free and easy to use. Think of it as an at home facial – in just 10 minutes your skin will be rejuvenated, and glowing with natural luminosity. Using the purest form of Jasmine Absolute, Decleor Aurbsolu Mask Intense Glow Hydrogel Mask awakens skin and reveals a new radiance. Skin is imbued with vitality and glow is restored. 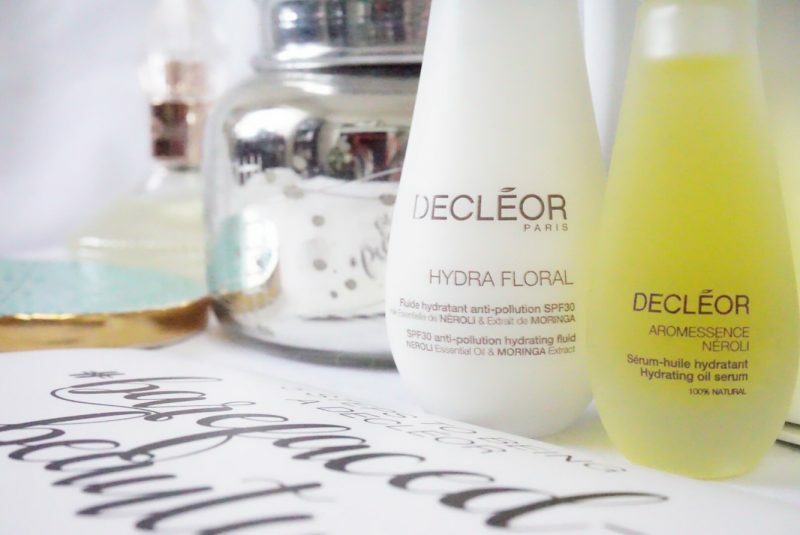 Decleor’s Jasmine is harvested in the first morning light by hand to preserve the entire petal power. Every Barefaced Beauty needs protection. Pollution and emotional stress can accentuate dehydration, and irritate skin. Hydrate and protect simultaneously, with a veil of SPF protection to protect you from the sun and UVB filter to protect you from radiation from your phone and computer screens. 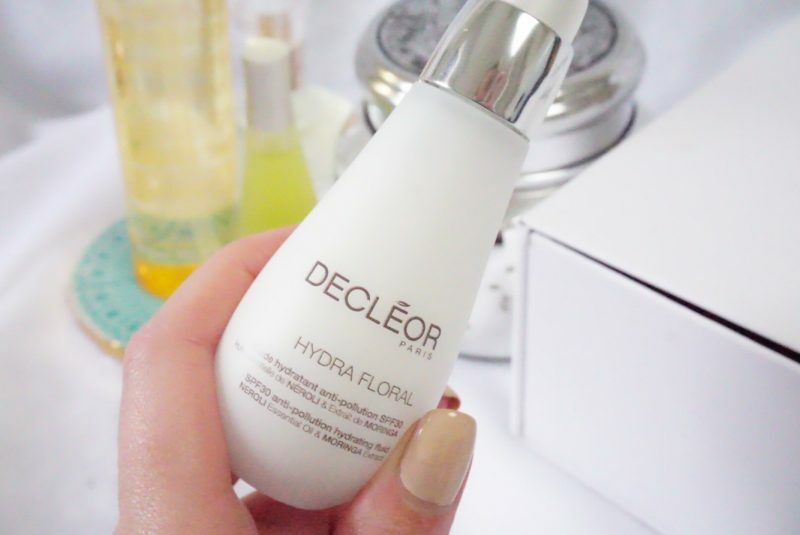 The fresh, super light texture of Decleor Hydra Floral Anti-Pollution Hydrating Fluid leaves skin feeling hydrated and comfortable. Drenching the skin with hyaluronic acid, it also plumps fine lines. Moringa Olifeira micro proteins protect against antioxidant attacks, pollution and free radicals. 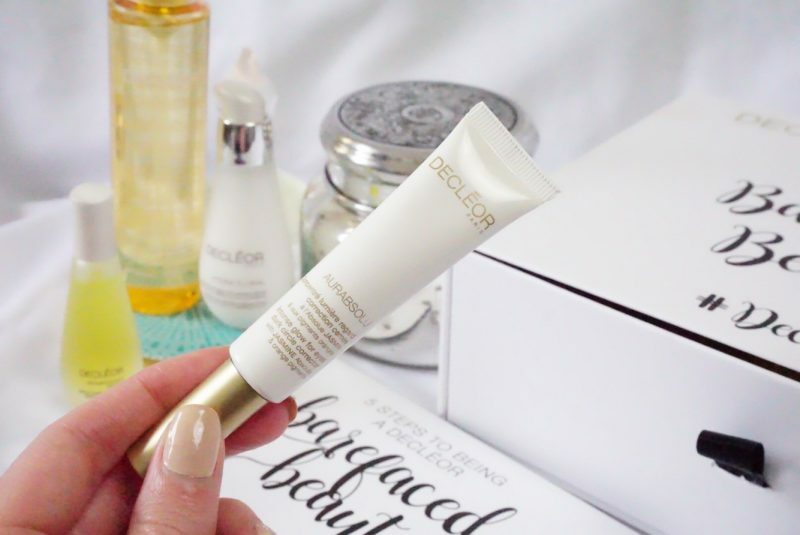 No need for concealer, Decleor Aurabsolu Intense Glow for Eyes Dark Circle Corrector targets darkness and dullness in a delicate area prone to fatigue. Stimulating caffeine aids drainage whilst vitamins B3 and CG help to protect and brighten the eye area. Orange Pigments deliver an instant illuminating effect – it can even be used over makeup! 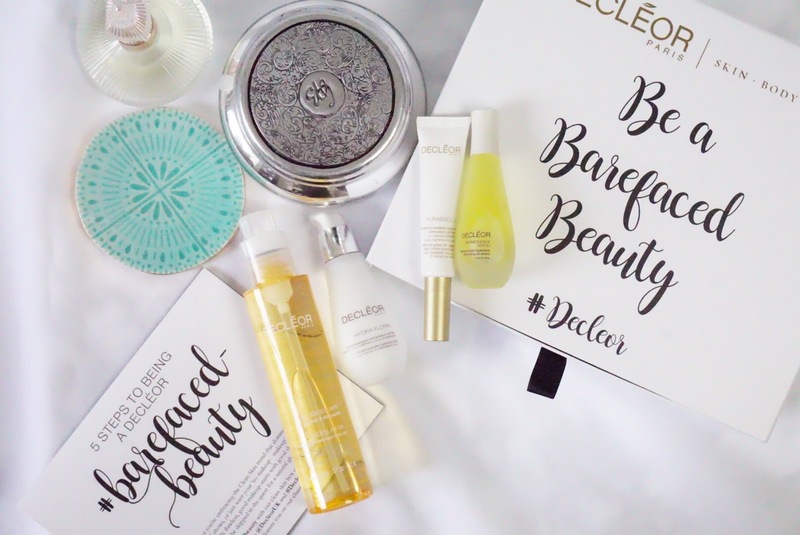 What is your favourite #barefacedbeauty product? Previous Post MDMflow – The Girl Gang You NEED To Be Part Of.